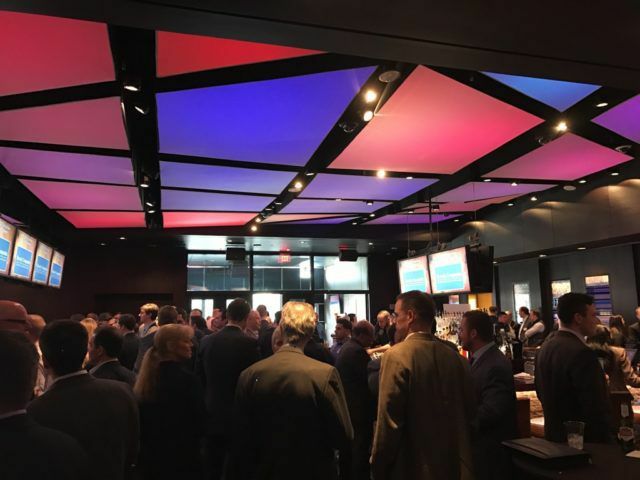 The Association of Industrial Real Estate Brokers held its biggest annual event, the 2017 Virtual Market Tour, at The Cube at Rivers Casino in Des Plaines, Illinois on Thursday. The theme at this year’s event was Catching AIRE—a play on the organizations name and extreme sports where daredevils catch air. The video displaying industrial properties around Chicago was broken up with footage of athletes jumping off buildings in Dubai, bungee jumping in kayaks or launching one another off ‘the blob’ into a lake. It was Ina Jones of Clarion Construction’s first time at the event. “My company is actually one of the sponsors of the event. I think the turnout is great—such a lively and talkative event,” she said. 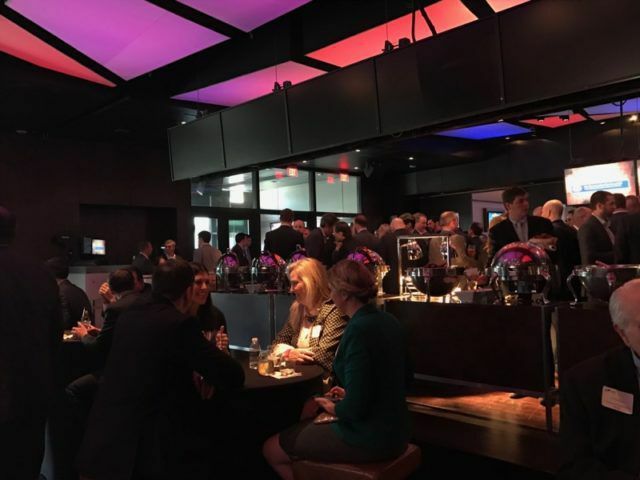 The purpose of the event is to showcase industrial properties and developments across Chicago and the suburbs–but the open bar, hot buffet and socializing with colleagues is clearly a huge draw. “It’s one of the better events that AIRE puts on. I’m here to meet people in the industry but the food isn’t bad either,” said George Crawford of Arhur J. Rogers Comapny. Adam Marshall, AIRE President and NGKF senior managing director, thought the event turnout was better than ever and that they sold out of the featured property spots. “You look around the room and see all the property managers and brokers that you work with having a great time. It’s our signature event, and we love having it at Rivers Casino,” Marshall said.